Posted by: Jeremy Reimer on Thu Apr 11 18:51:41 2013. The news is out that PC sales have fallen 14% last quarter over the same quarter a year ago. Many people are blaming Windows 8 for accelerating this decline, rather than halting it. 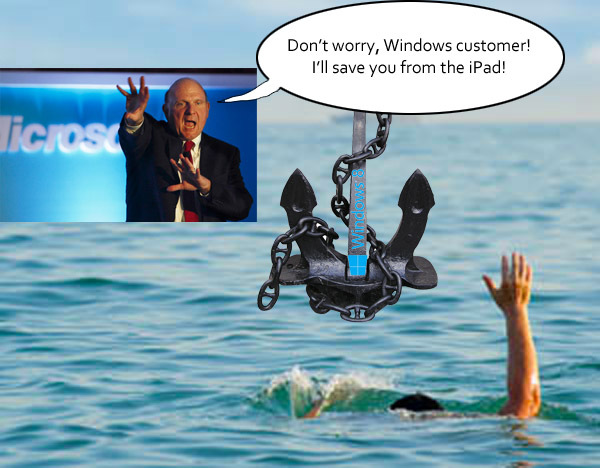 Or, as The Professor so eloquently put it, "In other words, MS’s customers were drowning and Ballmer threw them an anchor." 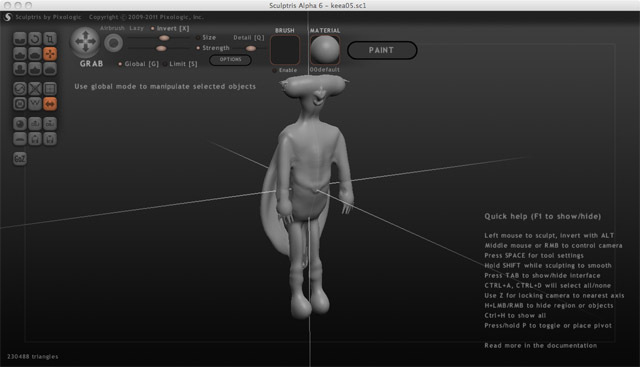 3D modeling the Ke’ea with Sculptris! Posted by: Jeremy Reimer on Tue Apr 9 20:21:33 2013. I’ve long been an avid fan of 3D modeling, but the software is usually expensive and takes hundreds of hours to learn. For those who don’t want to invest quite that much money and time, there is Sculptris from Pixologic. The basic application is free, with a more professional version available if you want. The program also includes texturemapping that works with the mouse or tablet to "paint" textures right on the surface. It’s very cool, and the price is right! Posted by: Jeremy Reimer on Thu Apr 4 15:59:18 2013. On this episode of Knotty Geeks, we talk about software startups and how they might use various methods of marketing. Terry insists that viral marketing isn’t, and also disdains DropBox, which he will definitely live to regret. Posted by: Jeremy Reimer on Sat Mar 30 11:03:39 2013. Posted by: Jeremy Reimer on Tue Mar 19 16:38:10 2013. There are a couple of things I always wanted to do but never did. One of them was to have the courage to play Starcraft, 1v1, on the ladder. Another one was to have a TV show. It’s basically my journey through playing ladder for the first time ever, talking about my anxiety and dealing with how reality doesn’t quite match up to your expectations. It’s about how Starcraft can teach you lessons about life. The show runs Monday to Friday at 2:00 pm Pacific. Please join in live, or watch the videos! Thanks! Edge of Infinity has been selected as a Breakout Book by Apple UK and Ireland! Posted by: Jeremy Reimer on Tue Mar 5 00:04:57 2013. For the first time, Apple’s iBookstore has included independently-published books in its "Breakout Books" feature, and Edge of Infinity is one of the 55 titles selected by iBookstore UK and iBookstore Ireland! This is really exciting for me, not only because of the extra exposure for my novels, but also because it shows that independent authors are becoming a force to be reckoned with in the market. 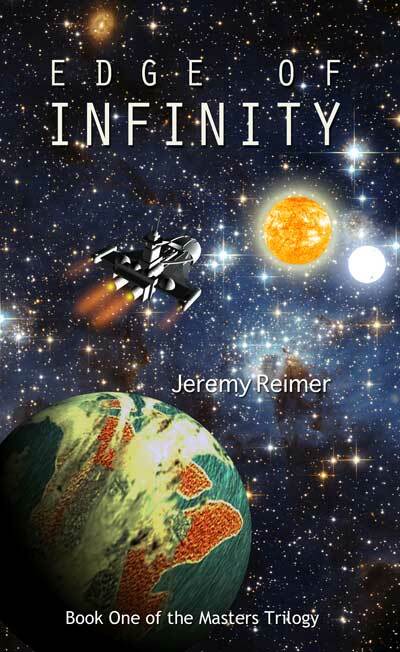 Edge of Infinity can be found in the Apple iBookstore at the following link. Thank you, Apple, for your support of independent authors. Let’s make a dent in the universe! Posted by: Jeremy Reimer on Wed Feb 13 14:12:46 2013. I know I’m late to the party on this, but I’m really loving Amazon’s EC2 cloud computing service. I’m saying this as a guy who loved to build servers with my bare hands, often blessing them with my own blood after touching a sharp corner. I literally bled for these things. Now, I’m not sure I ever need to set up my own server again. My startup project, JetCondo, runs on a "Micro" instance, which is a paltry little thing by server standards--a whopping 8 GB of storage space and 612 MB of RAM, and whatever amount of CPU they feel fit to dribble out. Still, it’s faster than my home server ever was, and it’s cheap. At current rates it works out to about $10 a month. My home server ate up about $7 per month just in electricity. But the value you get out of that extra $3 is immeasurable, especially for a startup. Today I wanted to create a new server instance so that I could start building a web application for my very first consulting client. I had almost resigned myself to going through the half-day dance of installing Ubuntu, configuring Apache, setting up newLISP, etc... and then I realized: hey, wait a moment! I can just copy my existing instance, can’t I? Turns out you can. You have to save an image of your current system first, and by default this shuts off your running server while it makes the copy (it’s kind of scary when this happens!) but in a couple of minutes it’s back up and running and now you have your own personal image file for your server. Then creating one is a matter of a right click, selecting "Launch More Like This", clicking Next a couple of times, and choosing your own AMI image from the list of "My Images". In a minute or so you have cloned your server, and it’s exactly the same as the one you had. It’s like magic. Instead of half a day’s work it took a few clicks and a couple of minutes. And of course you can launch as many as you need or even script it so that new instances are launched as needed given incoming traffic, but that’s something for the future. Right now it’s just cool to report that it works, and it’s a great time saver. Posted by: Jeremy Reimer on Thu Jan 17 21:55:31 2013. Launching a startup on your own can be quite lonely at times. At this delicate, embryonic stage, you don’t even really want to discuss what you’re doing with anyone, except maybe your wife. It’s too early. None of the stuff is ready yet, it’s all existing in your head, and there are a billion and one things to do to get it ready. I’ve found a little solace in reading other startup blogs, although you start to realize just how greatly the odds are stacked against you. Most of these startups fail for one reason or another. So you have to be okay with the idea of failure. Personally, I’m completely fine with it. I’ve got a set deadline and a set of things I want to accomplish in that time. After that, I’ll be going back to more traditional employment, barring the extraordinarily unlikely chance that I’m bringing in enough money from the startup that it’s not necessary. It’s more of a personal thing with me, a chance to prove I can do something and create something great on my own. But it’s definitely lonely sometimes. © 2019 Jeremy Reimer. Rendered in 14 milliseconds. Used 129 KB of memory, 106 KB for Lisp Cells. Rockets version: 0.46.